There’s a perfect mind and body group class for every FIT Athletic Club member! Explore the wonderful art of mind and body connection with yoga, Pilates, balance/flexion classes, mediation and more. At FIT Athletic Club, our expert certified instructors offer a wide variety of mind and body classes designed for all skill levels. Simply come as you are and enjoy all that a balanced blend of self reflection, self awareness, and healing classes have to offer your healthiest self. FIT Athletic Club is a full-service health and fitness club that encourages healthy and inspired living. 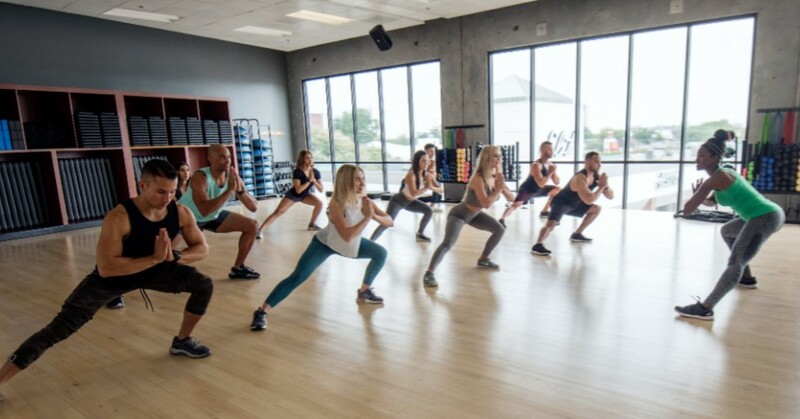 Offering an unparalleled, all-encompassing member experience, FIT Athletic Club sets the bar when it comes to a one-stop neighborhood environment where you can enjoy personal training, group fitness, social events and much more while living your healthiest self! PLEASE NOTE: This offer is for Houston-area residents only. Proof of residence required. Must be 18 years of age.